Rated 5 out of 5 by timothya from Spiderboy is Back! The arc of the series changed a bit with the previous edition and now Felicia is a Good Gal...or is she? And we have a new villain...or do we? Pros: the usual outstanding graphics, familiar theme music that you either love or turn off - I love it - and a new assistant that looks an awful lot like an old nemesis. Smooth game play and a couple of new puzzles. A rather surprising ending that completes the story arc in a most unexpected but not entirely satisfying way. Cons: not really a lot - this is a very experienced developer and it shows. Child characters voiced by adults are a little annoying, and I wanted to do a lot more with my assistant than merely change his hats. Give him a flamethrower, maybe, and send him after his counterpart... Overall: Beautifully done and time, I think, to put this series to bed lest it suffer a MCF-like disaster. Rated 5 out of 5 by caflady from Love these puppet show games! As soon as I see a new puppet show game I just buy it. I don't need to play the demo first because I know they will be good. I have every one of the series and none has let me down. The story line is interesting and not too complex. They mean growling puppets are a hoot as they try and stop you from saving the puppet master. A game that can be played by all levels. I write very few reviews, but I had to give this one the praise it deserves. Rated 5 out of 5 by sassylassie from Such and awesome awesome game! This is a 10/10 game. Yes we waited a while, but now the kinks are out and it's ready to 'show'. The voiceovers are extremely well done. Story: Poor dad disappears once again and it's up to Felicia to save dad once again. Then switching scenes you have a dude name Cricks who is suppose to be a friend of her father's but he don't sound too good. Glad I bought it to find out. Artwork: Simply gorgeous. Here goes this team again strutting it's stuff Music: Fit's the game beautifully, and to me pleasant to listen too. Hint System: Both in and out of H0Gs. Mini Games: Nicely challenged, not frustrating. Kudos to the Bunny team for a job very well done. Looking forward to hours of entertainment. Rated 5 out of 5 by Smileyface38 from Awesome PuppetShow game!! I have played all the PuppetShow games and this one is by far, my favorite one. The mini games are a bit more challenging. I'm glad they switched up some of the mini games and made it interesting instead of so many hidden object games. The little puppet helper was so cute. Dressing it up in different styles of hats. Overall, this game delivered its purpose, enjoyed it immensely. Rated 5 out of 5 by LadyVonCoockies from Fantastic Game PuppetShow:Destiny Undone is one of the most beautiful HO games I have ever played. The gameplay is awesome. I love the soundtrack, the concept art and the wallpapers. The graphic is wonderful and the minigames are beautiful. 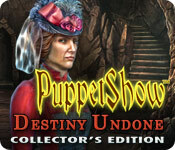 In my opinion, PuppetShow: Destiny Undone is another success of the PuppetShow series. I really recommend this game . Rated 5 out of 5 by KMehner from Great game for the money I have played the other PuppetShow games and I've never been disappointed with them. I bought Destiny Undone and was just as pleased as I was with the others. The bonus game play in the Collector's edition was just as challenging as the main game. Rated 5 out of 5 by Jem_Jerrica_Guy from going back in time = forward with progress Graphically, the little puppet helper was a joy and the hats were a challenge. Those and the puppet dolls weren't a challenge to find as they are paired with other objects needed to complete the adventure. Overall, ERS pushed to the max the ability of their casual games and this is no exception to ERS' dedication. Rated 5 out of 5 by Powrtoc1 from Charming little walking heads Another fun Puppet Show with the cutest little squealing head for a helper. So different than the "Chuckie" head that was constantly trying to destroy everything to slow you down. Nice plot with a twist when you least expect it. nice variety of mini games, too. A couple of the HOS were a bit dark, and hard to find some things, though. Overall, an enjoyable game. Rated 5 out of 5 by claireese from Great Game but beware This is a great game. But don't rely on the map to determine if an area is complete. I had to use a hint due to an inaccurate check mark. Rated 5 out of 5 by Coralinerocks21 from It was cool This game took me about an hour and a half to play it, and this game was really fun. Had good characters, summed the series up, and was really challenging (which is good). I liked how they added in a new puppet to help you with pretty much everything, and how they made the evil version of Felicia's pet-dog-puppet-baby thing really scary. Scary is thrilling. I also loved to make hats for the new puppet. Overall, this game was really really supercalifradgilisticexpialidoshiously fun. Rated 5 out of 5 by JeannieO from Amazing I just wish MCF would wake up and see the amazing job this game developer has done with this game series. Each one is more challenging but keeps the integrity of the original game and I LOVE THAT. New things but we feel at home with them I am a HUGE FAN NOW switching my loyalty as I feel we have been thrown under the bus with MCF ...so sad as I loved those *EARLY* games All I can say is Koodo's to the makers I am a HUGE fan and YOU are now my best game series....waiting for the next one AWESOME!!! Rated 5 out of 5 by lovmygames from great game! trix is bac, there need to b more games like this. That are interactive, I really enjoyed this game and aaand would like to play more like it..to b honest i didnt pay much attention to story line , sry the game was just fun! Rated 5 out of 5 by peachycat from Love this series! I have all the SE of the PuppetShow Series. LOVE THEM! They have stayed with the tried and true HOG and mini-game style of play (unlike Mystery Case Files that went with the annoying morph scenes) Keep up the good work PuppetShow creators! Rated 5 out of 5 by Ethereal924 from Sid from Toy Story called...... and he wants his puppet back!! Seriously, dude. It's psychotic. This was an AMAZING game. Collection of Puppets to collect Virtual horde of extras 3 modes "Fan" of tools - Hadn't seen that before. Multi-layer map with uncompleted/completed map Journal opens when note is made You get to name the puppet - let your IMAGINATION run wild!! Rated 5 out of 5 by jmcbeauty from Another Puppet Show Well Done The puppets are back. This one is as well done as the others (all of which I own). The artwork and music are beautifully done. I keep forgetting when I play one of these the inventory is not across the bottom. There are three levels, which I played casual on the demo. The location of items are not difficult but the hos are a little more difficult. The cut scenes flowed well with the game. I found myself a little creeped out having my own puppet helper, especially when he smiles then goes back to being serious. I didn't really check out the strategy guide because I didn't need to use it through the demo. There were no achievements, but you do need to locate 10 dolls throughout the game. The storyline was a little different as Felicia seems creepy at times after the first meeting as if she is gradually becoming evil. Mini games were different but again not too difficult. Hour went too fast and definitely was drawn into the story. Good play for Puppet Show fans. Rated 5 out of 5 by kordi044 from PuppetShow: Destiny Undone Collector's Edition Fun, challenging, entertaining, engaging! Cool music, fun but not too difficult mini games. Rated 5 out of 5 by Torpedo1 from Yeah and there was much Rejoycing. (Mighty Phython style) I am so tickled and will be buying this one tomorrow. Love the added features. The doll helper I can dress up. Collect puppets and the game moved along smoothly and entertaining the whole way. I own all the Puppet show games and so please this one is just as good. Can not say enough. Rated 5 out of 5 by MSBAM100 from The Spider Puppet is Back! This is the fifth PuppetShow game I've played and they've all been quite fun. You don't need to play the others, but you will probably want to. Father, the Puppet Master has once again disappeared and of course you have to find him. His study looks the same as in previous games -- same desk, some grandfather clock -- but the rest of the town appears different. You get a cute little red-headed spider puppet of your own as a helper to reach the items up high. I named mine George, then found out I got to create hats for him so you might want to give yours a girl's name! Anyway, the helper puppet gets all excited and hops around when there is something in the room for him to do, and gets quite sad when he fails to accomplish a task you give him -- a nice touch. 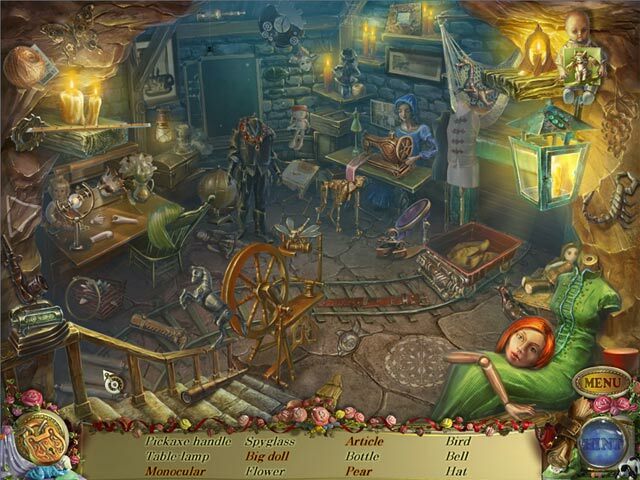 The HOS are slightly interactive, but there are more mini-puzzles than HOS. 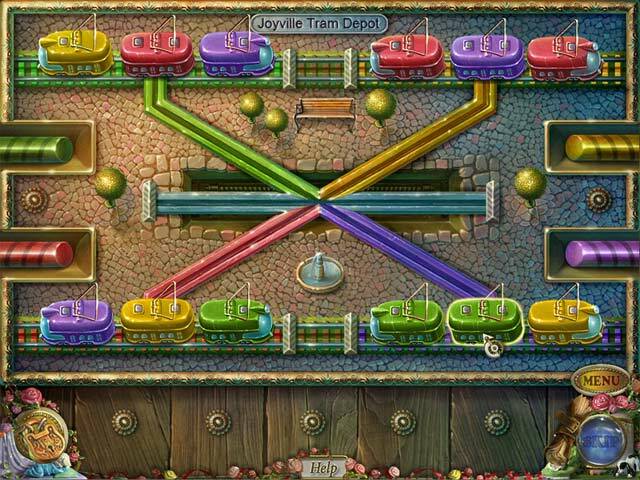 The mini-puzzles have puppet themes, and at least two of them are about trains. The only annoyance is the inventory (called Tools) which is in the way when locked open but you have to click to see what is in it. This is a definite buy! Rated 5 out of 5 by tillymae from Best One yet!! I am so glad that they brought out another Puppet Show game!! Loved all the previous ones and was so excitied to play this one. Beautiful game play and great storyline as usual. Having the little puppet as a side kick is really cute!! Love, love, love this game!! Rated 5 out of 5 by biscuitsmama from The Long Wait is Over - It's Finally Here! It’s here at last – Puppet Show Destiny Undone, and IMO it was worth the wait! Unlike some who may think this series should have long ago reached its end, I think the story just keeps getting more interesting. We can always count on the great artistic talents of the bunny team to give us excellent graphics that always have their special touch. If I had any complaints about the game (yes, there are a few) among them are the voices of Felicia and the boy. While Felicia's voice is grating and annoying, the boy’s voice sounds way too old for his character. My other complaint is the tool fan. I wish that would go away forever. I much prefer the tool box/inventory to be located at the bottom of the screen. Now that I have my negatives out of the way, on to the good stuff that makes this game five-star. Some may think the puzzles in the game easy and many are, but I have stumbled across some that are quite challenging. The HOS are good with items that are fairly easy to find. We have asked many times for the inclusion of an interactive map and we have one in this game. We also have many extras that add up to make this a CE worthy game. One of my favorite things in the game is my puppet helper – a bit different than the furry little friends we have in some games but I think he is cute. I have read the comments where some think that Puppet Show Destiny Undone is the same old thing - find this, use it here but in reality all of the HO games we play, no matter who the devs might be, are the same, which is the basic premise of the HOPA genre. So let's give the bunny team a break guys! Admittedly, ERS is one of my absolutely favorite game developers and I am thrilled to see this addition to the Puppet Show series. You should try the demo and at least give this game a fair trial before making up your own mind. For me, it was an instant buy and I love it. Rated 5 out of 5 by pennmom36 from STOP TAKING THE MASTER! I have to tell you that when the first cutscene played, my cat was sitting on my lap watching the computer and when the dark shadow passed by the window he jumped a little and then the creepy spider boy crawled up the dark figures back and my cat took off! This is obviously part of the series of PuppetShow but it isn't necessary to have played the others to play this game, although they are all really good games. 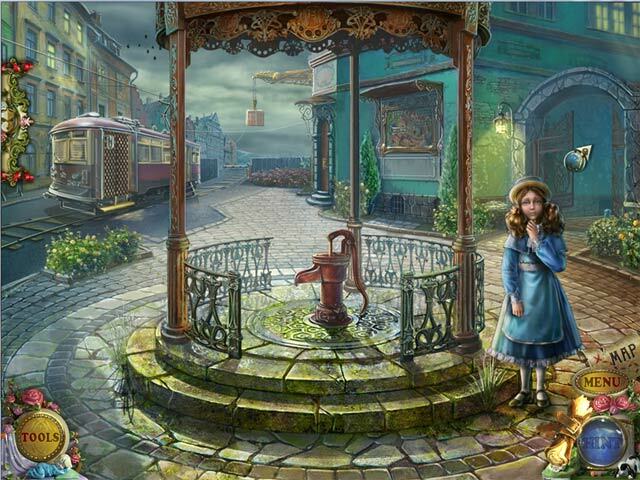 The Puppet Master has been kidnapped again and as the lead detective you must scour the town of Joyville for clues and find out who is behind this mayham. You can choose to play in casual, advanced or hard mode. There aren't a lot of HOS but they are slightly interactive such as click on the lamp to turn it on and you will see a star on the lampshade. There are a lot of mini games and they are fairly simple, my favorite one was train tracks of 4 different colors with matching color trains that you had to click levers to switch the trains to their matching colored tracks without crashing the trains. You have a map to travel but it has limited information, simply checks off areas completed no task list. The hint system shows you where to go or helps to find HO but it does take a few seconds to recharge. Shortly after starting the game you will discover a mechanical spider boy that the Master has created that you get to name and later make hats for that will help you during your search, but personally I'm not into dressing up characters in a plot that should be scary. There are also 10 puppets to collect but they aren't hidden, they are in places you look for inventory anyway, and I would much rather they were hidden or blended into each scene. The graphics are well done, and they did a nice job matching the characters lips with the words but the kids voices are adult voices trying to sound like kids. The well known music from Tim Burtons movie does get a little loud a repetitive but it does set the mood. A well done game.